When you stand back and actually look at some of the scenery that surrounds us, we take for granted views that other people would travel miles and pay a fortune to see. This section brings just a few such scenes to the website. The village green with St Mary Magdalene church as a centrepiece is just one example. The separate parts of Trimdon are all linked by paths through the countryside, as well as roads, with disused railway routes and cycle ways adding to the connections with other villages. 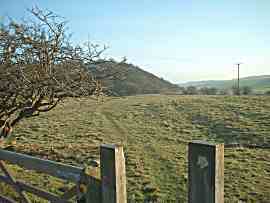 Wingate Nature Reserve, on the outskirts of Deaf Hill, is a walkers’ paradise, summer or winter. 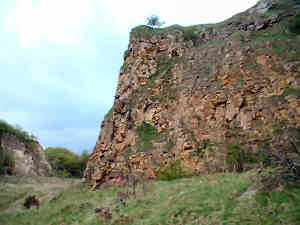 Starting off life as a limestone quarry, the nature reserve (which gets its’ name from the Old Wingate district of yesteryear, stood unused and derelict for many years. As a natural haven for wildlife and wild flowers alike, the various paths, twists and turns coupled with wide open spaces make it an excellent choice for an hour or twos’ quiet stroll, whatever the weather. You may even spot a fox or a red squirrel if you’re lucky, or one of the areas Argos butterflies. For a short walk, or a few miles hike, the choice is yours. Many paths in the reserve are circular walkways, so it’s simply a matter of choosing which one to take from the simple map in the car park. Other tracks go beyond the boundaries of the reserve into open countryside, but still never that far from civilization. Hundreds of photos of Trimdon past and present, and surrounding countryside can be found in our Galleries.